Let’s take a look at some of the games that we will be playing in 2019. 2018 will be regarded as one of history’s most important years for videogames, with the release of games such as the long-awaited Mega Man 11, Red Dead Redemption 2, and Super Smash Bros. Ultimate. However, the everlasting tide of new games continues to flow and 2019 reserves a few promises for gamers all across platforms and genres. Let’s take a look at some of the games that we will be playing next year. If a game’s anticipation could be measured in the amount of memes it produces then Cyberpunk 2077 could be easily regarded as the most anticipated game of 2019. Disregarding the absolutely hilarious memes in which a piece of “creative engineering solution” is stamped with the game’s logo, Cyberpunk 2077 has been highly anticipated since its reveal. The game promises to offer an extraordinary RPG experience set in a dystopian cyberpunk future. Cyberpunk’s 2077 aesthetics and tone reminds us of media such as Blade Runner, Akira or Cowboy Beebop, a delight for any fan of the genre. 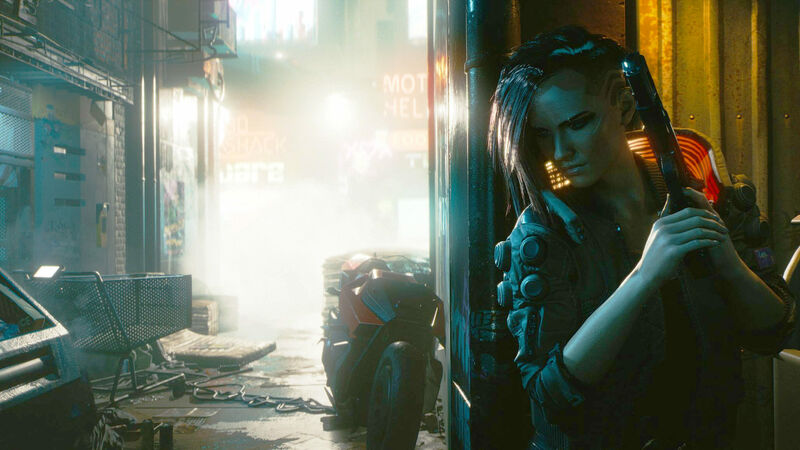 Not much has been revealed about the story yet, but we know it is a spin-off of the pen-and-paper RPG Cyberpunk 2020, that it will be set in the sprawling metropolis Night City and that CD Projekt Red aims towards a scale as big as its previous high-end project, the Witcher 3. Ubisoft really reached peak altitude when it comes to naval warfare in gaming. Not only is AC IV: Black Flag one of the best Assassin’s Creed games ever produced, but its main pirate component set it apart as one of the best pirate games in existence. Having said that, Ubi had the brilliant idea to strip Black Flag of anything that could relate it to an AC game and decided to improve upon the pirate formula. The result is Skull & Bones. The game will cater to everyone’s taste, for it will have a dedicated solo campaign, which promises a rich story and immersive gameplay, as well as a vast multiplayer component, which is, arguably, one of the most requested elements in games such as AC IV and AC Rogue. Unlike these games, the multiplayer will focus on naval battles, in which the player will take command of their ship and order their crewmates in order to succesfully navigate, attack and defend. Pokémon Let’s Go! might have not been what fans of the franchise had in mind when they so loudly demanded a console Pokémon game; however, 2019 reserves a surprise for loyal fans of the franchise. Not many details have been offered regarding this new entry, but the information we’ve found indicates that this is in fact a core entry in the series and, most importantly, will be set in the Kanto Region. The game will be available for the Nintendo Switch, which can be both regarded as a house console and a handheld, so no argument here. A lot has been said about Bioware’s new IP, Anthem. This Destiny-like MMORPG promises to succeed where Mass Effect Andromeda failed and deliver gamers the massive sci-fi experience they’ve been craving for. Among these rumors is the idea that Anthem might actually be Bioware’s last stand, much like Final Fantasy was for Squaresoft back in the day. If the numbers don’t add up, then Bioware might cease to exist, so let’s hope Anthem’s sales fly as high as its power suits. The highly anticipated entry in the Metro series promises to continue adding to the quality of its predecessors. The series, based on the post-apocalyptic novels by Dmitry Glukhovsky, has gained massive appraisal and, if you haven’t played Metro 2033 and Metro: Last Light, then you still have plenty of time to get started. Metro: Exodus takes the narrative away from the netherworld of the metro lines and sewers and into the streets. Horror and sci-fi fans alike will not want to miss this one out. The popular turn-based RPG will make its triumphant return to consoles after more than a decade of having entries released only to handheld systems. Intelligent systems is once again the studio behind this new entry in the long-lasting medieval fantasy franchise. This time, Three Houses, as its name implies, develops through a trilateral narrative. Gameplay is said to be slightly different from its predecessors, with changes such as the distinction between Attack and Magic. Fire Emblem: Three Houses will be arriving sometime around the second quarter of 2019, although the exact date has yet to be released. 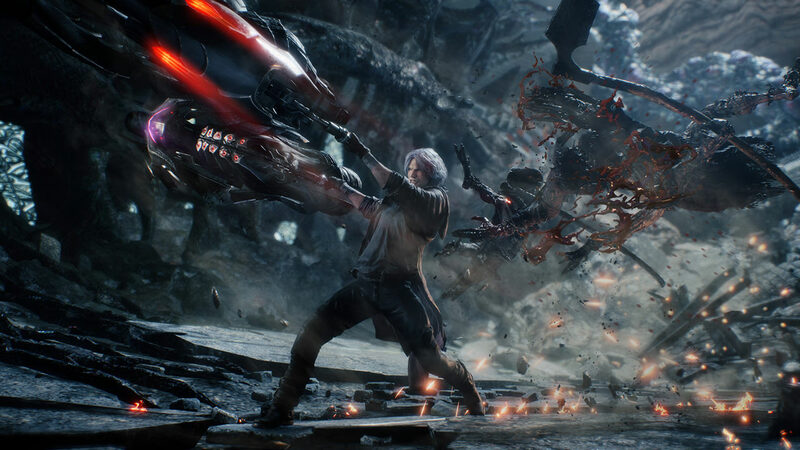 Many fans were disappointed when Ninja Theory rebooted the Devil May Cry franchise and were begging for more of what they had come to know and love. The answer was a direct sequel to Devil May Cry 4, a game in which Nero takes center stage once again. Alongside Nero, we will be able to play as Dante and a third unnamed character in Devil May Cray 5. 2019 will also be a time for re-releases and remasters. This is the case for one of gaming’s most beloved titles, Resident Evil 2. While Biohazard was widely praised by audiences and critics alike by rebooting the franchise from its roots, Resident Evil 2 is nothing but the same narrative and elements present in the original release, but with a twist. In this sense, the clunky fixed cameras of the past are replaced by an over-the-shoulder perspective; enemies will also to be tougher. Kingdom Hearts is the so very beloved and so very improbable mashup between final Fantasy and Disney, a game infamous for its constant stalling towards the release of its third entry. After numerous soft-sequels, remixes and remasters, Kingdom Hearts III will finally be a reality and games everywhere are nothing but excited. Among the Disney/Pixar worlds to explore are those of Frozen, Tangled, Big Hero Toy Story and Monsters, Inc.
Microsoft decided to drop the “of War” part of the game, but the series remains mostly the same. After Gears of War 4 divided opinions and created tumult among the fandom, Gears 5 promises to deliver where Gears of War 4 failed to engage its audience. One of the most important elements to change is the shift from a male-centric and testosterone fueled perspective to that of a female protagonist. Not only that, but the game also promises to dwell into the past and, at last, resolve the lingering mystery about the origin of the Locust.